Browse » Home » Phone Electronics Computer » Mac City's BARGAIN CORNER : Clearance for APPLE Ex-Demo, Refurbished and New Units! 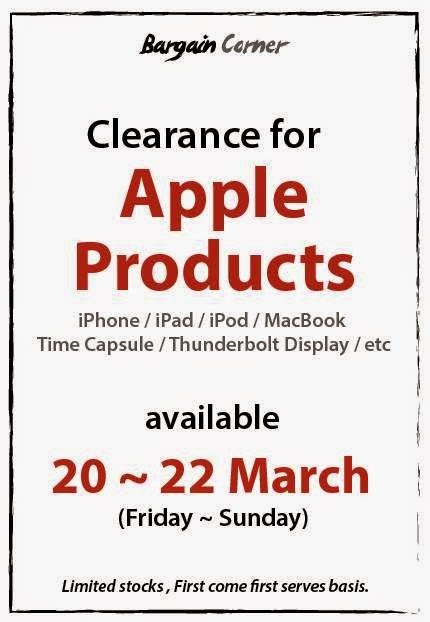 Mac City's BARGAIN CORNER : Clearance for APPLE Ex-Demo, Refurbished and New Units! Promotion time: 10 a.m. - 10 p.m.
All Ex-Demo, Refurbished and New Units (EOL) are available for sales starting 20th March 2015!